With it's built in power supply designed for domestic use in Japan (100vac 60 cps) or export use outside of Japan (117 VAC or 234v AC 50/60 cps) Yaesu's first mobile transceiver could be used as a base or mobile station by running it on shore power or 12vdc for mobile operation. This compact base / mobile station, was considered a most reliable and economic SSB, AM & CW station allowing for the ultimate in flexibility in amateur communications at home or in the mobile. 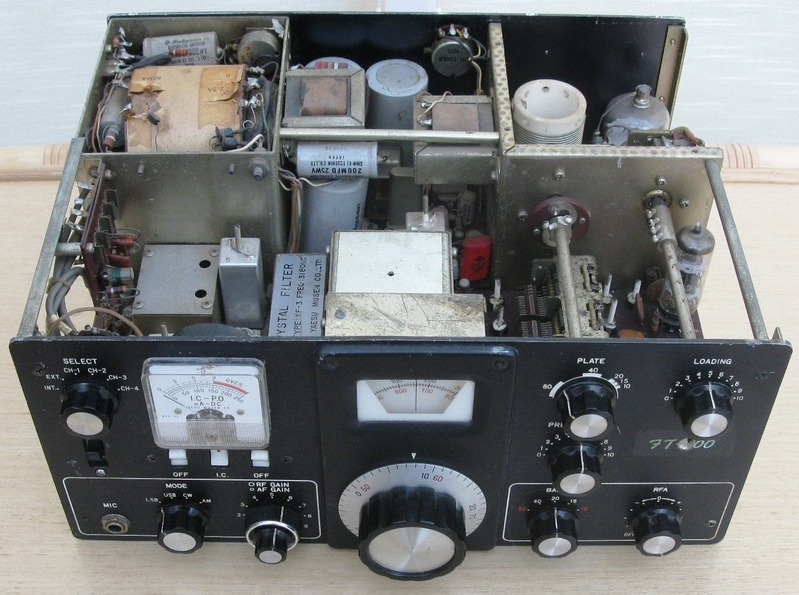 A Hybrid solid state Transceiver with 33 Transistors, 42 diodes & 3 Tubes!! 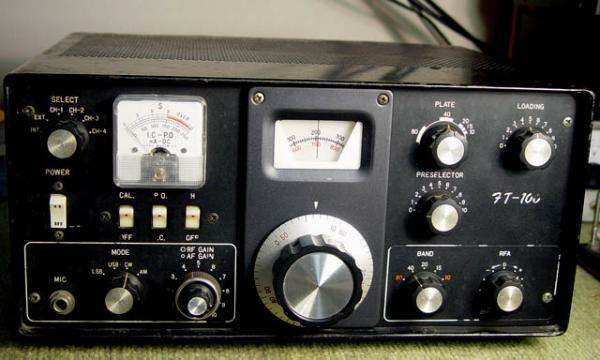 The FT-100 was considered to be a major advancement in amateur radio technology for its time in that it could be used mobile on 12 volts, while most other amateur stations at that time were comprised of separate tube type transmitter and a stand alone tube type receiver. 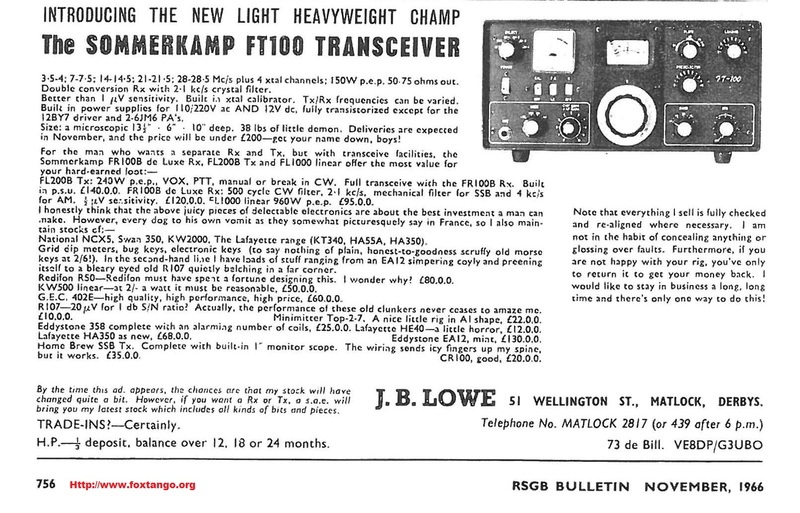 There were several versions of this transceiver with the FT-100 being the first, followed by the FT-100B (Mk2 version) and later the FTdx100 as shown below in my collection. 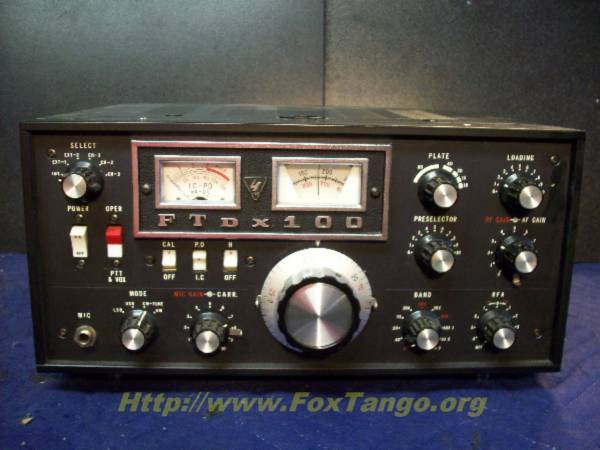 By the time the FTdx100 was on the market, we were only one step away from the most famous Yaesu transceiver of them all the world renown FT-101 of which millions were sold an are sill in use well into the 21st century and people still use and enjoy them to this day. You will likely note the obvious difference between the original FT-100 and the later FTdx-100 front panel controls. 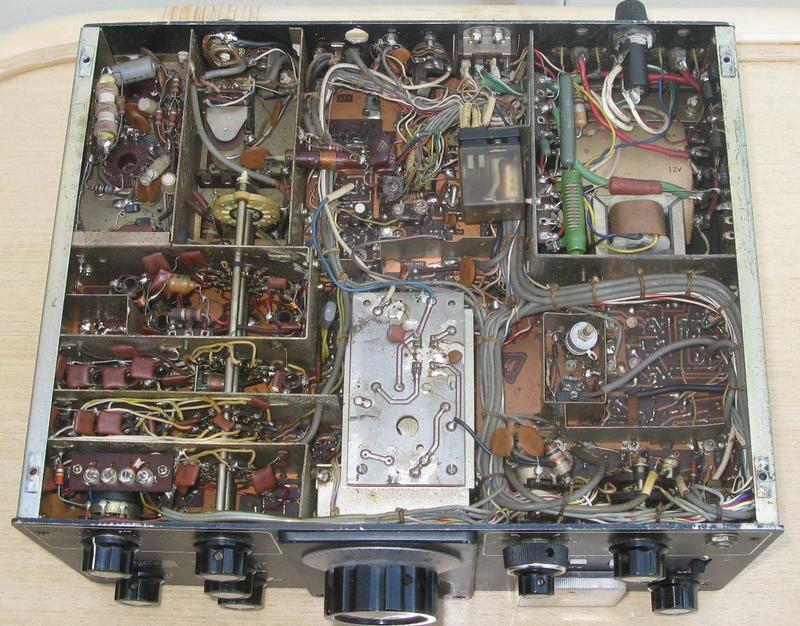 The concentric RF/AF Gain control on the FT-100 Mark 1 was moved to the far right side of the panel and the addition of an AM Carrier/Mic Gain control was put in its place, this type of control was eventually carried through into the later production of FT-101 series. 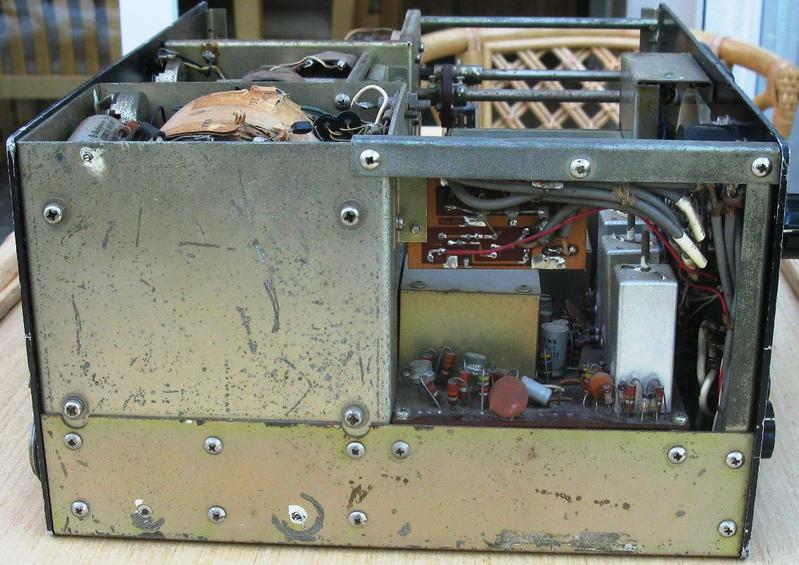 As so many of your are more likely familiar with the FT-101 series transceivers of the 1970's, you will be able to note a lot of similarities that were beginning to show up in the production of the Yaesu transceivers at this time. 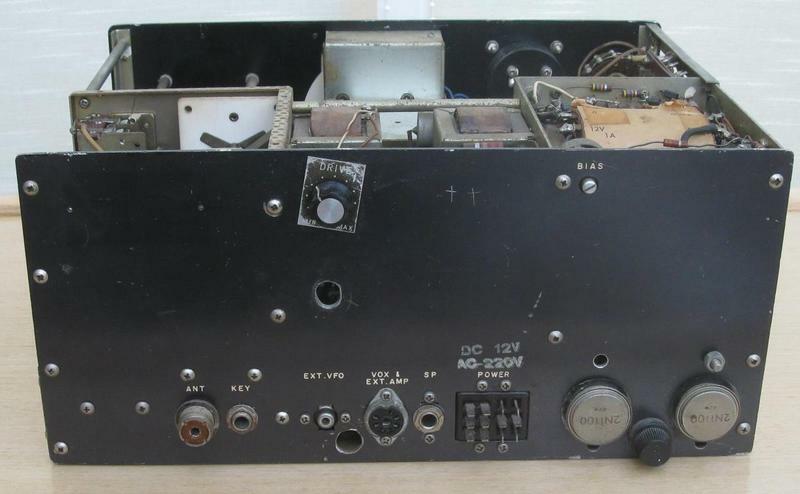 Note the controls on the FTdx-100 transceiver that eventually would wind up on the front panel of the FT-101 series, they are very similar. 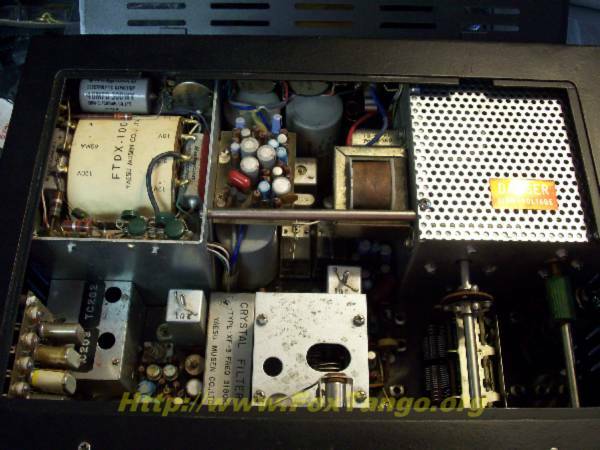 The original FT-101 was designed in 1969 and had a long production run for some 10 years, it remains one of the longest running production lines for an amateur transceiver even to this day. 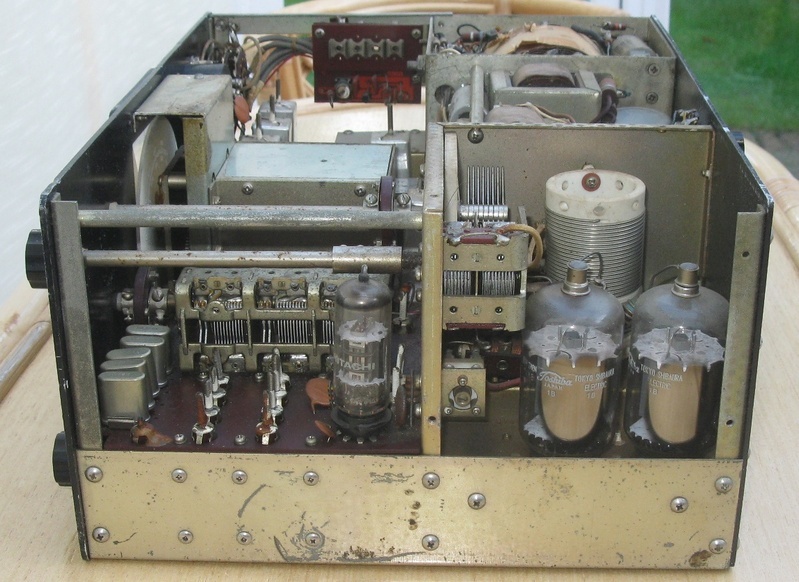 Not until technology changed so much, with the addition of digital displays that became common place in today's modern transceivers, smaller circuitry, integrated circuitry showing up on every internal circuit board, and fully solid-state final amplifier output did the FT-101 finally have to change to a point where we really did not recognize it. Yaesu had to stay competitive and change with the times with the introduction of the FT-101ZD, FT-901 and the numerous other models. 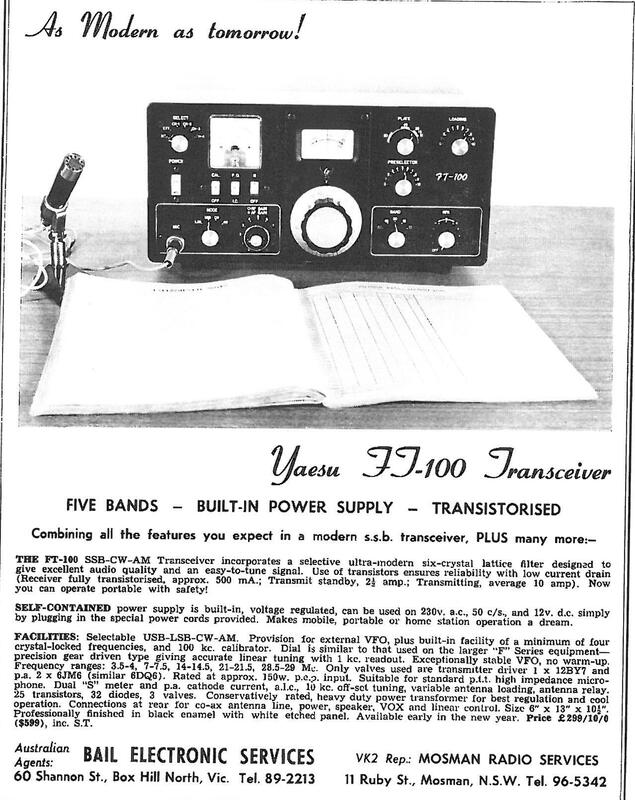 Getting back to our FT-100, Yaesu had a lot of products before 1966 but this baby here - the original FT-100 was the first in a long line of transceivers yet to come! A quick look under the bonnet of the FTdx-100 will also reveal the layout similar to that of the later FT-101 series with the power supply transformer on the far left rear of the transceiver. 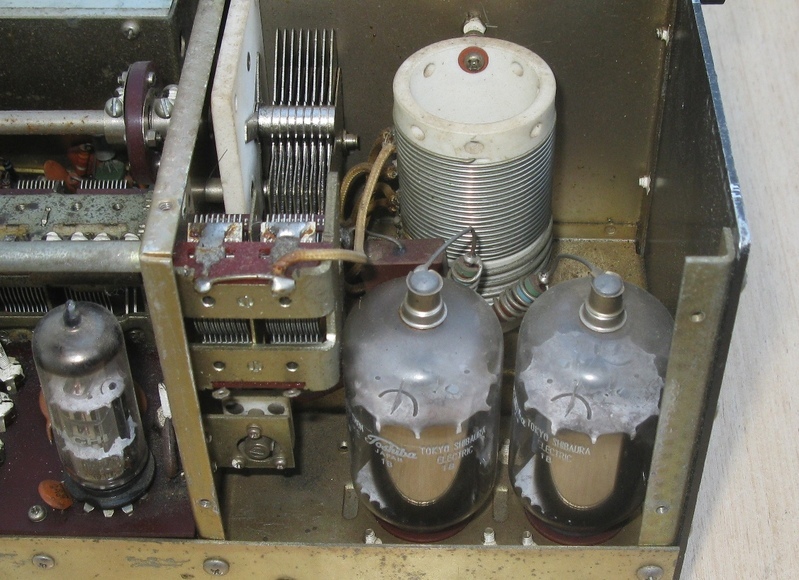 High Voltage capacitors and regulators are center rear with the power amplifier stage sporting (2) 6MJ6 final (Toshiba TV sweep tubes) amplifier tubes being driven by the all familiar 12BY7 driver tube which was used in the FT-101 series all the way until the end of it's production until 1979. Specifications for the FT-100 / FTdx-100 SSB CW / were 120 watts (50 AM mode) with receiver sensitivity of 1 Uv. - not great by today's standard of .25 Uv or better, but it worked. 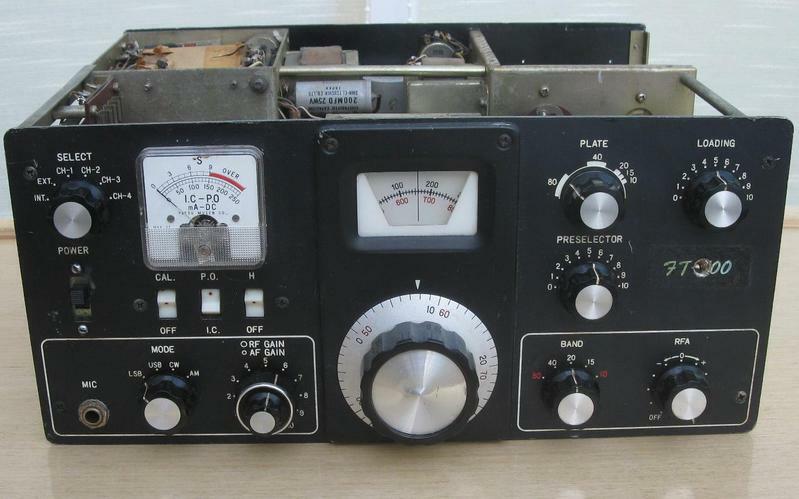 Built in VOX, 100 KC crystal calibrator, S-meter which shows total cathode current of the final tubes and relative power output just like on the FT-101. For it's time the FT-100 was a real Cadillac of a rig if you were lucky enough to have one! 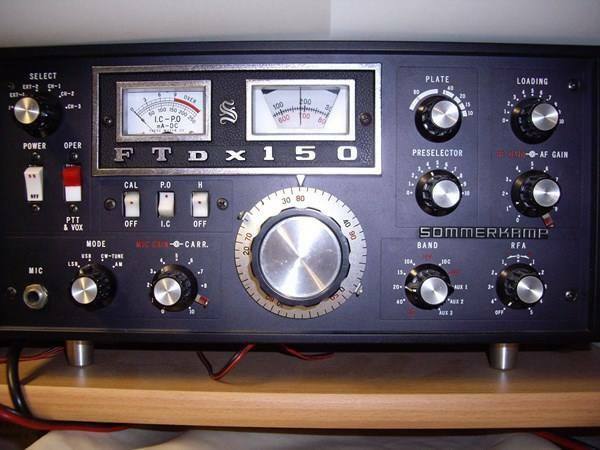 The FTdx-100 was also sold by the (Swiss) European importers know as Sommerkamp and rebranded as the Sommerkamp FTdx-150, the radio was still built by Yaesu and identical in all ways. Club Admin Fox tango Intl.